Excellent for softwood and chipboard. 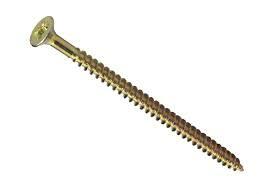 The twin thread screws have two deep threads interwoven with each other. The shank of the screw is narrower which gives the screw greater grip. 10g x 3.5" 10g x 4" 12g x 2" 12g x 2.5" 12g x 3" 12g x 3.25" 12g x 4" 4g x 0.75" 4g x 0.625" 4g x 1" 6g x 0.5" 6g x 0.625" 6g x 0.75" 6g x 1" 6g x 1.25" 6g x 1.5" 6g x 2" 7g x 1" 7g x 1.25" 7g x 1.5" 8g x 0.5" 8g x 1" 8g x 1.25" 8g x 1.5" 8g x 1.75" 8g x 2.5" 8g x 3" 10g x 1.25" 10g x 1.5" 10g x 2" 10g x 2.5" 10g x 3" 12g x 1" 12g x 1.25" 12g x 1.5"